This set of standards will have an impact on future generations in Europe and beyond, setting a new benchmark for the care of preterm and ill babies. 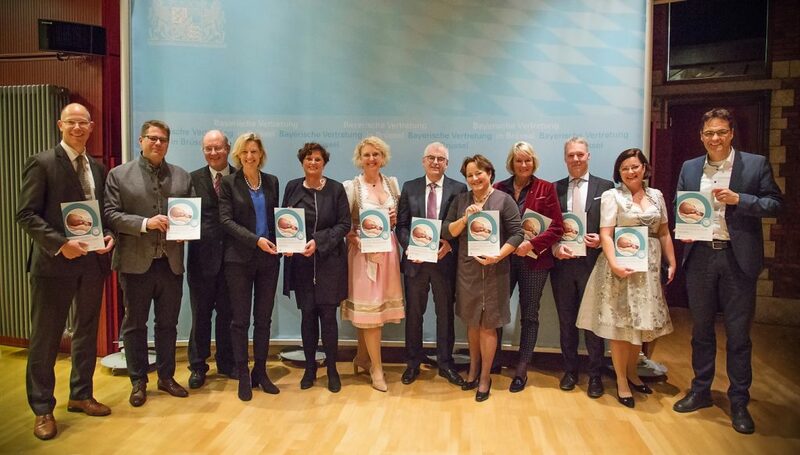 Five years after the project’s kick-off, EFCNI in the role of the project lead, gave a reception with panel discussion at the Representation of the Free State of Bavaria to the European Union on 27 November. Along the slogan: “Newborn Health Reloaded. Shaping our babies’ future”, around 100 project members, stakeholders, medical experts and MEPs gathered to debate the current status and future prospects in newborn health. In his keynote speech, Prof. Dr Matthias Keller (Director Children’s Hospital “Dritter Orden” Passau, Germany and Associate Professor at the Technical University Munich), highlighted the importance of overcoming barriers, impeding the process of transforming the Neonatal Intensive Care Unit (NICU) to a clinically progressive yet family-centred place providing newborn care. “There is no easy answer to such a complex issue like preterm birth. Implementing harmonised standards of newborn care is one crucial way to tackle this compound question.”, stated Keller. The following panel discussion, hosted by journalist Sibylle Bassler, brought up insightful statements from project leaders, members and supporters Funding issues in regards of neonatal care and therapy as well as the necessity to invest in continuous, high-quality education of the clinical staff for instance, were only a few aspects mentioned by the panel which was followed by a vivid discussion with the audience. 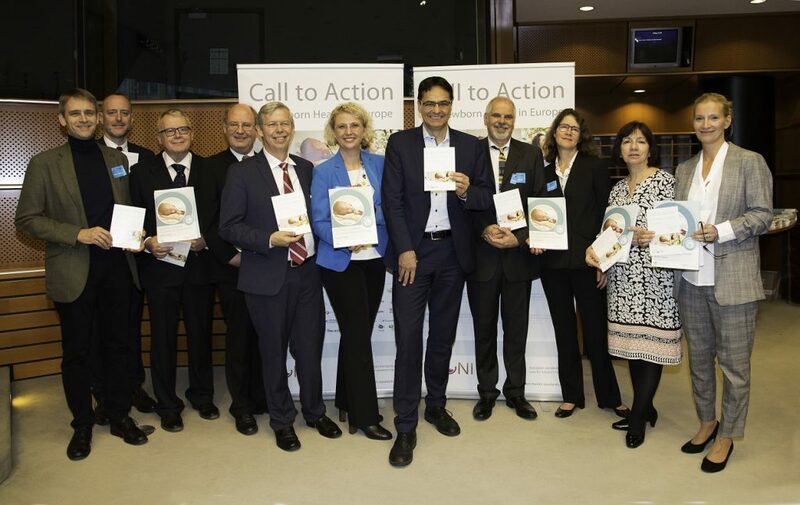 The following day, the European Standards of Care for Newborn Health were presented to the public in the context of a workshop at the European Parliament. Speakers from several disciplines added to the event “Mission Impossible – Take responsibility for newborn health in Europe”, pointing out the need for standards and guidelines in neonatal care to ensure equity in healthcare provision for the smallest individuals of our society. In this view, Prof. Dr Berthold Koletzko concluded his talk with a clear message: “It is not enough to read the standards. Discuss them and implement them”. “We need the implementation of the standards so that future generations benefit from a different, equitable system of care,” added Silke Mader. Therefore, a Call to Action was presented which calls upon policy makers, hospital administrators, insurers, professional societies, patient associations, and industry to work together on the implementation of the standards at national level. More than 100 politicians, the project’s experts and supporters, parent representatives, as well as several key stakeholders and speakers from organisations like the World Health Organization (WHO) joined the launch event and signed the Call to Action. 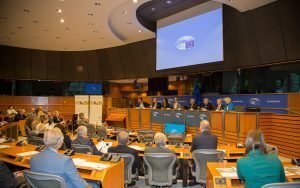 Cordial thanks go to MEP Professor Dr Angelika Niebler and MEP Dr Peter Liese for hosting this event and to the parliamentary speakers* for their contributions.